Kim Jong Sik with Kim Jong Un in March 2016 (Photo: NK Leadership Watch file photo). Kim Jong Sik (Kim Cho’ng-sik) is deputy director of the Workers’ Party of Korea [WPK] Military (machine-building) Industry Department and Alternate (candidate) Member of the WPK Central Committee. He is a leading officials of the country’s weapons of mass destruction [WMD] and space programs. Kim was appointed to his current position during 2015 and as of the first quarter of 2016 he has become a prominent advisor on missile technology and aide to Kim Jong Un (Kim Cho’ng-u’n). A space and missile specialist (possibly an astronautics engineer), Kim worked in the Second Academy of Natural Sciences [SANS] and the Korean Committee for Space Technology (currently known as National Aerospace Development Agency [NADA]). He was involved in the development of the U’nha-3 rocket and had an operational role in the country’s first successful space launch in December 2012 for which he was awared Hero of the Republic, one of the highest state titles in the DPRK. On February 14, 2015, Kim Jong Sik was given the rank of Major General (sojang) in the KPA Strategic Force in the military promotions orders issued for Kim Jong Il’s birth anniversary (the Day of the Shining Star). Kim Jong Sik was a technical manager in the renovations of the General Satellite Control and Command Center in Ryongsong District, Pyongyang, as well as renovation and modfication projects at the Sohae Space Center. He was a key figure in the preparations and launch of the U’nha-4 rocket during January and February 2016, accompanying Kim Jong Un on field inspections of the satellite C2 center and Sohae Space Center prior to the launch. Kim later attended the February 7 launch with Jong Un. At a celebratory banquet held for personnel involved in the launch, Kim was seated next to Ri Sol Ju, Kim Jong Un’s wife. During the same month Kim Jong Sik was publicly identified as a deputy director of the WPK Munitions Industry Department. Since the fourth nuclear test and second space launch, Kim Jong Sik has become a routine member of Jong Un’s entourage during on-site visits and field inspections focused on the DPRK’s defense and machine-building industries. He attended a test firing of anti-tank weapons in late February 2016. In March 2016, Kim attended a SPOD test of a mobile ballistic missile, a multiple launch rocket system [MLRS] drill and a reentry simulation test. In April 2016 Kim Jong Sik was present during a test of an intercontinental ballistic missile [ICBM] engine. He also served as a team lead on tests of the Hwaso’ng-10 (Musudan) intermediate-range ballistic missile test, which had a successful test fire on June 22, 2016. 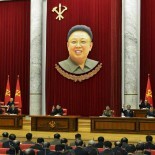 During the 7th Party Congress, Kim was elected an alternate (candidate) member of the WPK Central Committee. In late May 2016, he accompanied WPK Vice Chairman and DPRK intelligence chief Kim Yong Chol on a goodwill visit to Cuba.